Our first BPM Festival experience was last year on the beautiful Playa Del Carmen and and it has never really let us go. Partying at great venues while listening to your favourite DJ’s, with the glistening ocean right at your feet. That we would return to this place was a given. 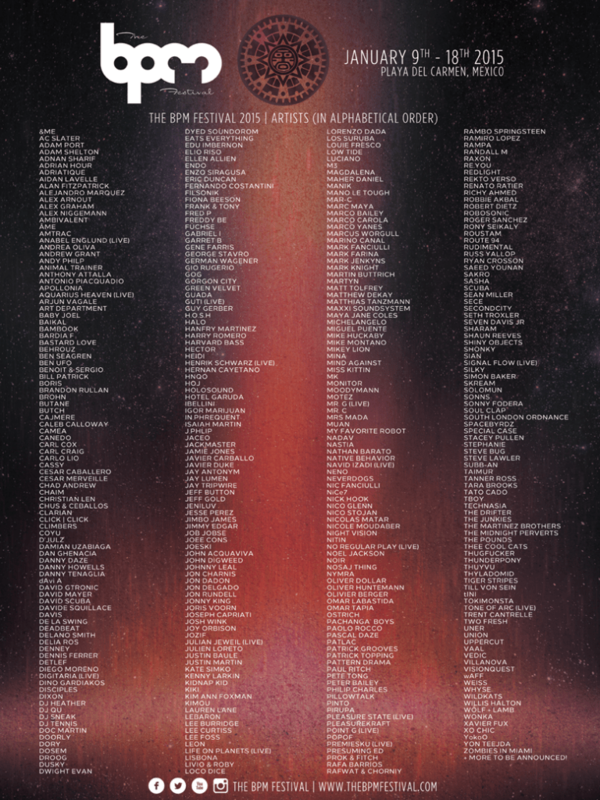 Well, BPM has just announced the line up for its 2015 edition. There’s not much to be said here except WOW.